It’s no wonder Americans want reforms to our food system, after years of outbreaks of foodborne pathogens like E. coli and shocking exposés of animal cruelty in corporate factory farms. There’s no silver bullet to this multi-pronged issue, but Massachusetts voters have the opportunity to take a giant step toward ensuring that everyone in the commonwealth has access to reasonably-priced, responsibly-produced food by voting yes on Question 3. 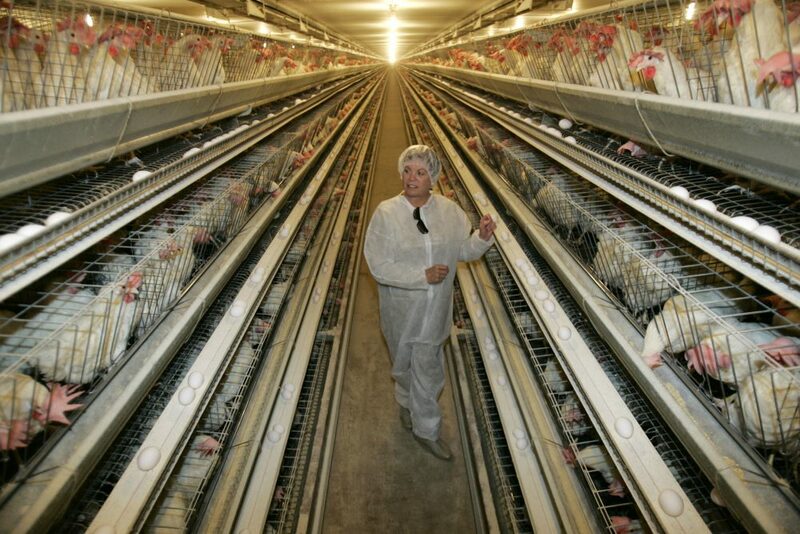 If passed, this ballot initiative would require that meat and eggs sold in Massachusetts come from facilities that give animals enough space to stand up, lie down, turn around, and extend their limbs. While the requirement is modest, the benefits are enormous. Most of the pork, eggs and veal sold in Massachusetts come from facilities that lock animals in cages for months at a time. While it’s clear to scientists and citizens that these cages are cruel, they’re also a major threat to our health. According to the Center for Food Safety, “Caged hens have consistently presented a higher risk of Salmonella than cage-free hens, indicating a strong connection between cages and pathogen contamination.” The nonprofit concluded, “...the fact remains that in terms of potential Salmonella contamination, eggs from caged hens are simply more dangerous than their cage-free counterparts.” The U.S. Food and Drug Administration estimates that consuming eggs contaminated with salmonella causes 79,000 illnesses each year. Not long ago, a Massachusetts girl was sickened in a massive Salmonella outbreak linked to two Iowa egg factories owned by Austin "Jack" DeCoster. Officials estimate that the same outbreak sickened as many as 56,000 other Americans. In a rare instance of a CEO being held accountable, DeCoster was sentenced to jail time. Nonetheless, earlier this year, The Humane Society of the United States (HSUS) exposed nightmarish cruelty and food safety risks at another DeCoster-owned facility that sells eggs to New England consumers. The HSUS documented hens forced to live and lay eggs for human consumption on top of the rotting carcasses of their dead cage-mates. 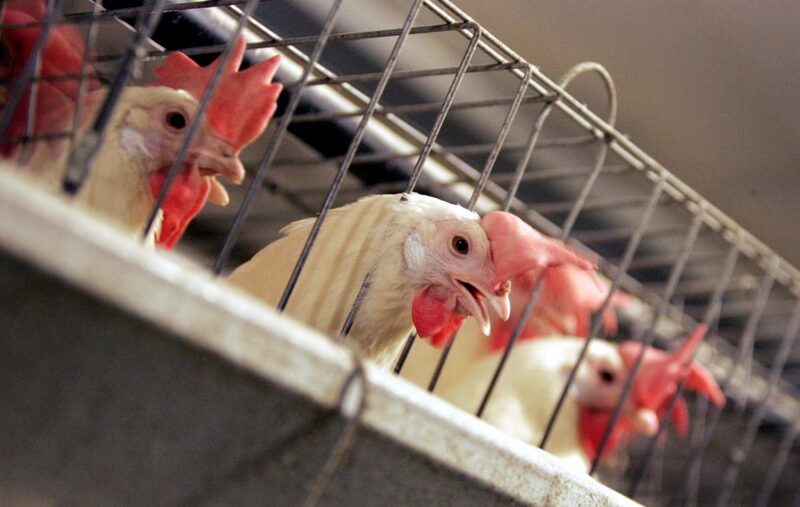 Investigators also found poisoned rodents in hens’ cages. Corporations that cage animals want the public to believe that passage of Question 3 will result in higher food prices. The egg industry’s own studies, however, show that it costs only 1 to 2 cents more per egg to use cage-free methods. The egg industry’s own studies show that it costs only 1 to 2 cents more per egg to use cage-free methods. More than 200 of the largest grocery and restaurant corporations -- including cost-conscious companies like Walmart, Dollar Tree, Taco Bell and Dunkin Donuts -- have already committed to switching to 100 percent cage-free eggs by 2025. Some companies now charge a premium for cage-free eggs because they know some customers will pay it, but their ability to gain that additional profit will disappear once cage-free becomes the standard. McDonald’s has publicly stated that the conversion won’t cause the company to raise its prices even a penny. And many food producers find that treating animals better results in cost-savings over the long-term. The pork industry, for example, published a study that determined that it can cost 11 percent less not to use gestation crates. With companies transitioning away from confining animals in tiny cages at a cost that’s economically viable, there’s no excuse for continuing to treat animals in this cruel manner. It’s this commonsense view that has led Question 3 to be the most popular measure on this year’s ballot in the commonwealth. What unites us all is the belief that all animals, including farm animals, deserve protection from cruelty. Containment Of Farm Animals: A Primer On Question 3 In Mass. 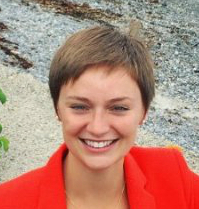 Stephanie Harris is the Massachusetts state director for The Humane Society.